Once you try Wholesome Organic Delish Fish, you’ll be hooked! With the fun shapes and delicious flavor, DelishFish make a great snack for road trips, movie nights, and school lunches! DelishFish are made with real and recognizable clean ingredients. They are sweetened with organic cane sugar and colored with vegetable dyes. They are free of high fructose corn syrup and Red Dye 40. Having a sweet treat has never been so worry free! 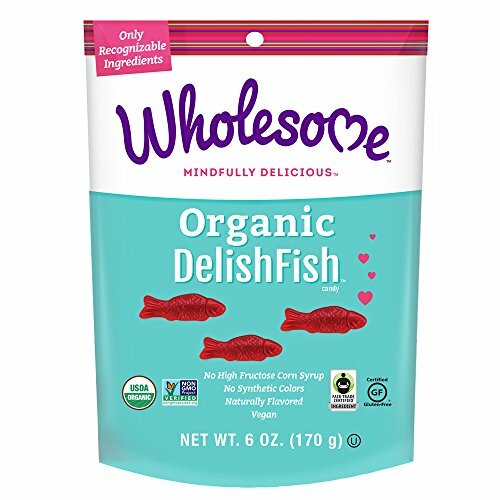 Wholesome Organic DelishFish are USDA Organic, Non-GMO Project verified, gluten free, vegan, and Kosher and made in the USA.